We have been successful in aquiring funding from the DFG. Sven has been accepted for funding in the frame of the "Heisenberg Programme". 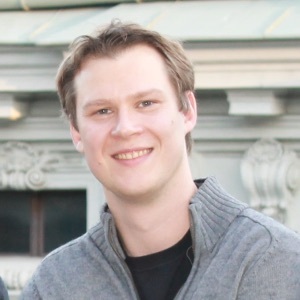 In addition, Felix Jungwirth will continue working in the group and start as a PhD student. We are looking forward to close collaboration with M. Huth from the physics department. 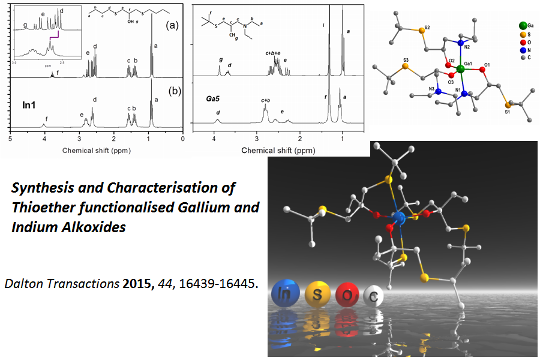 It is a pleasure to work in this highly interdisciplinary field of materials chemistry/science. Excellent start of the new year. 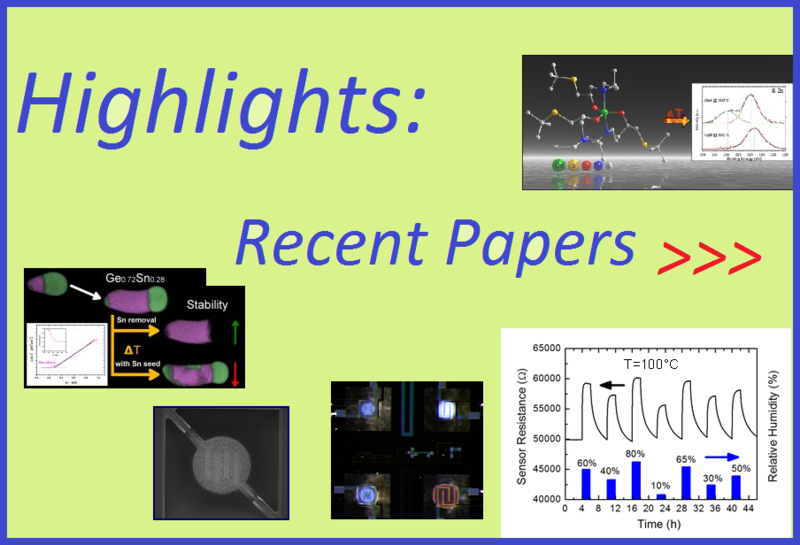 A collaborative paper with several groups contributing "Electron Beam Lithography for contacting single nanowires on non-flat suspended substrates" has been accepted for publication in Sensors & Actuators B. The study was led by our long term collaboration partner A. Romano-Rodiguez. 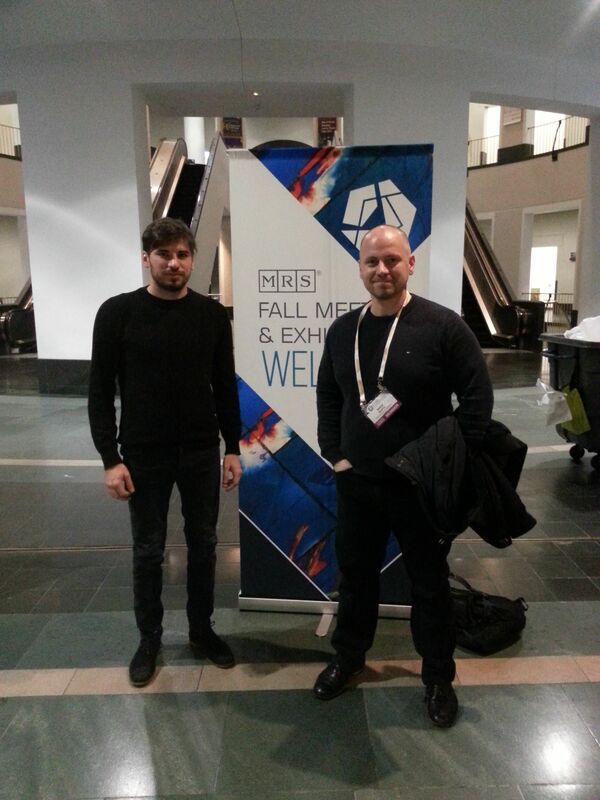 Sven and Michael presented our work on metastable Ge-based materials in two talks during the week. We had a very good time of scientific exchange with colleagues in the field. Moreover, former MSc student Lukas Hrachowina gave an interesting talk related to his work on single nanowire PV conducted in Lund. The MRS meeting was a great platform to chat with active and new collaborators and also good friends from different parts of the world. 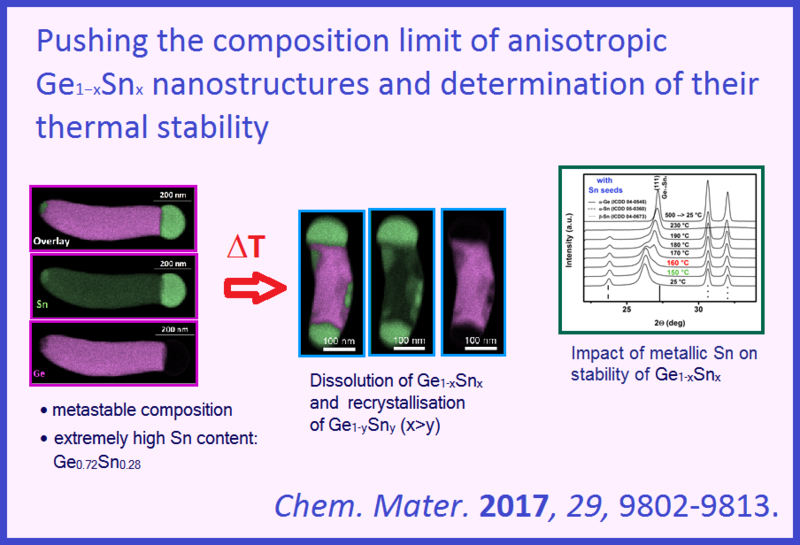 Our latest paper on metastable GeSn alloy nanostructures was published in RSC's journal Nanoscale. 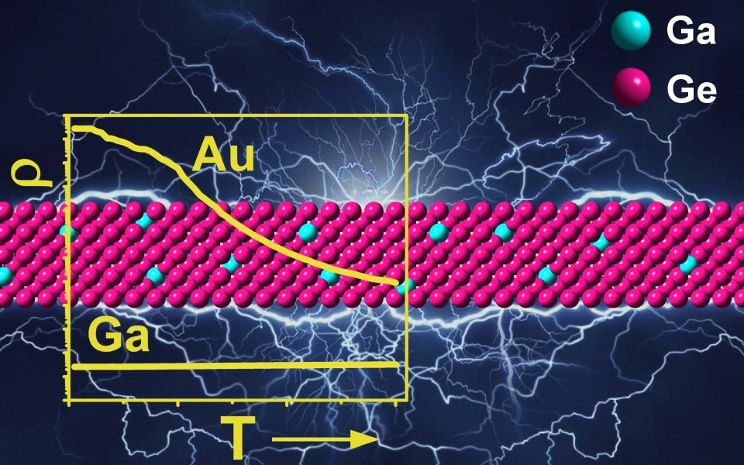 The electronic properties of NWs have been investigated in close collaboration with A. Lugstein's group. 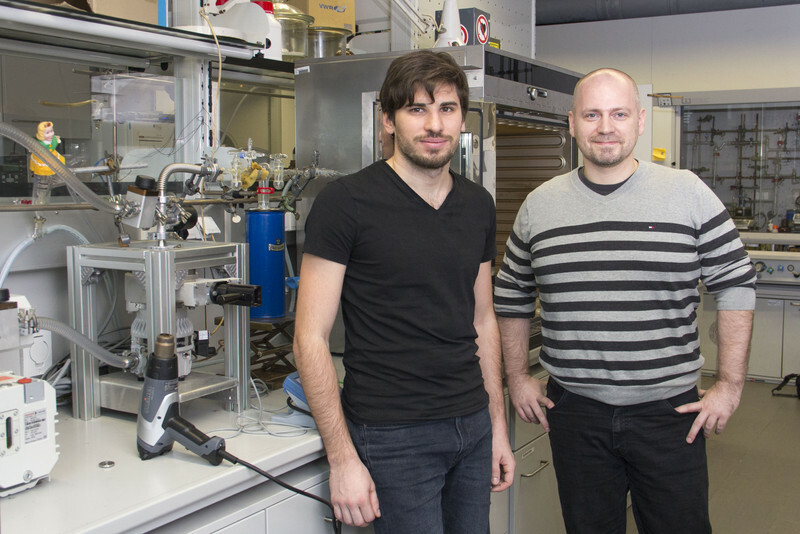 Sven started an interim professorship for "Chemical Material Synthesis" at Stuttgart University (Inst. of Materials Science). A collaborative paper with Michael Huth's group from Frankfurt has been accepted for publication in J. Appl. Phys. 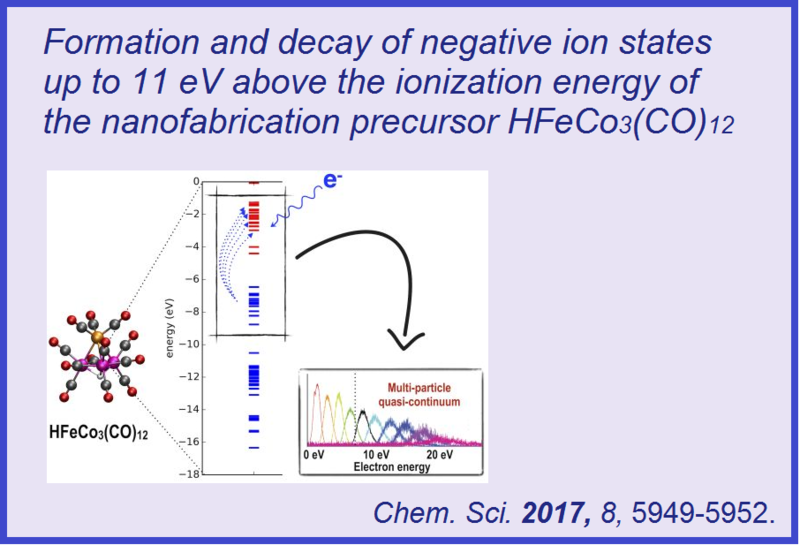 D.
The paper is entitled: 'Binary Mn-Si nanostructures prepared by focused electron beam induced deposition from the precursor SiH3Mn(CO)5'. 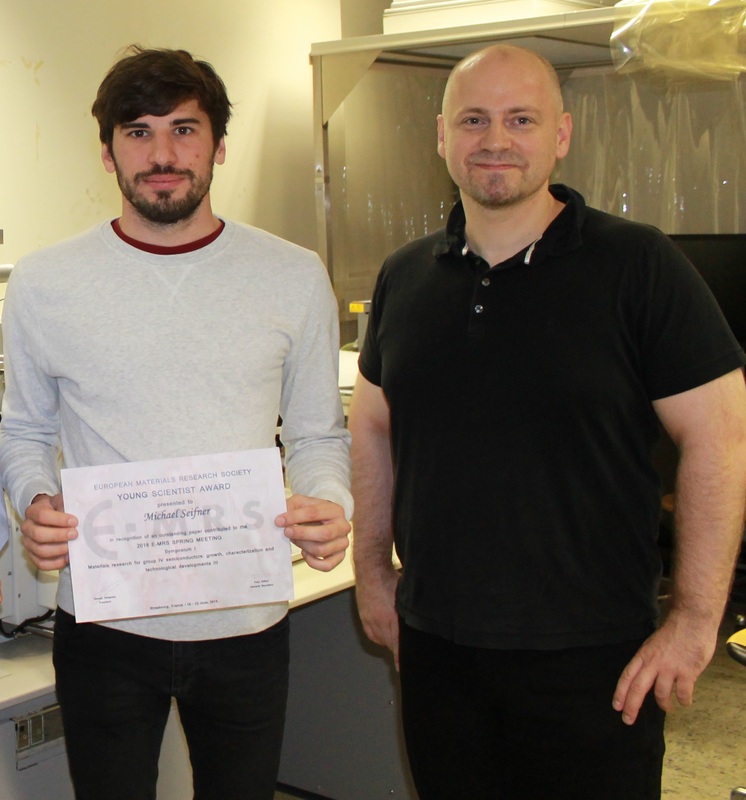 Michael S. Seifner won a Graduate Student Award from the European Materials Society (E-MRS) for his work on metastable, Ge-based semiconductor material. Michael gave an invited lecture on "Upper Limits of Sn Incorporation in Anisotropic Ge1-xSnx Nanostructures" at the E-MRS conference in Strasbourg, France. 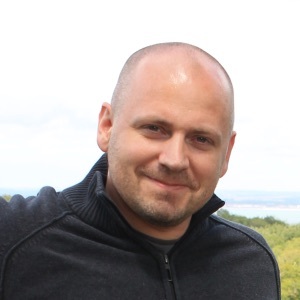 Sven gave an invited lecture on "Low-temperature Synthesis of Metastable Materials with Anisotropic Morphology" and chaired a session at the CIMTEC conference in Perugia, Italy. 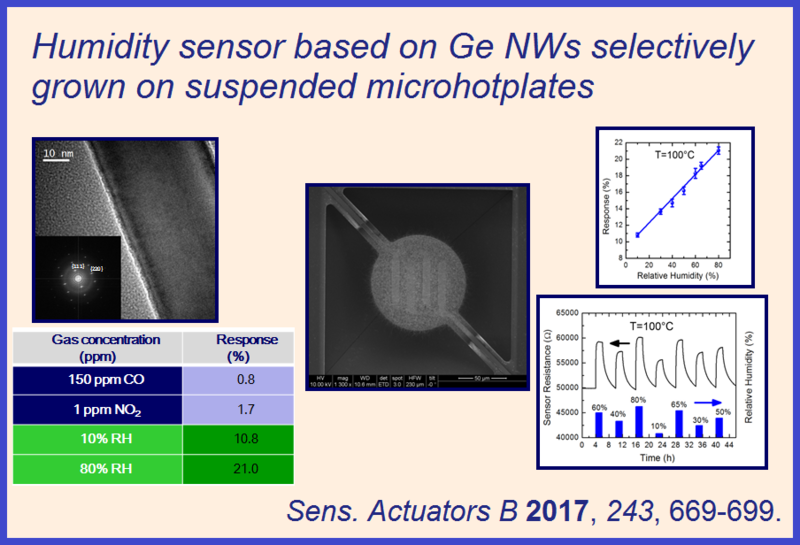 Ivan Zivadinovic presented the results of his MSc project on temperature-dependence on Ga-supported Ge nanowire growth. 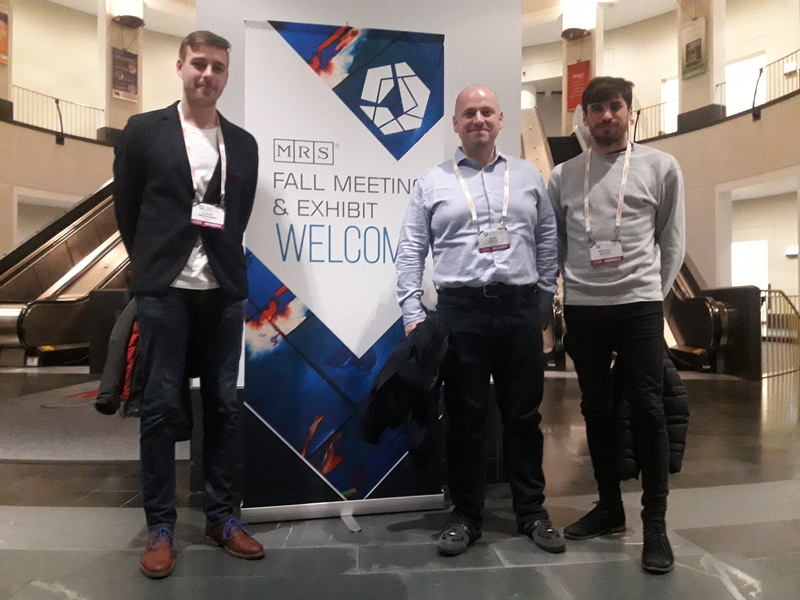 Sven gave a talk in the inorganic chemistry seminar series entitled: "Metalorganic Precursors in Material Synthesis: From Hyperdoping and Metastable Materials Composition to Integration Issues"
Very interesting to see the facilities and to chat with Swedish colleagues. Many thanks to Gunnar Westin and Mats Bomann for the invitation. 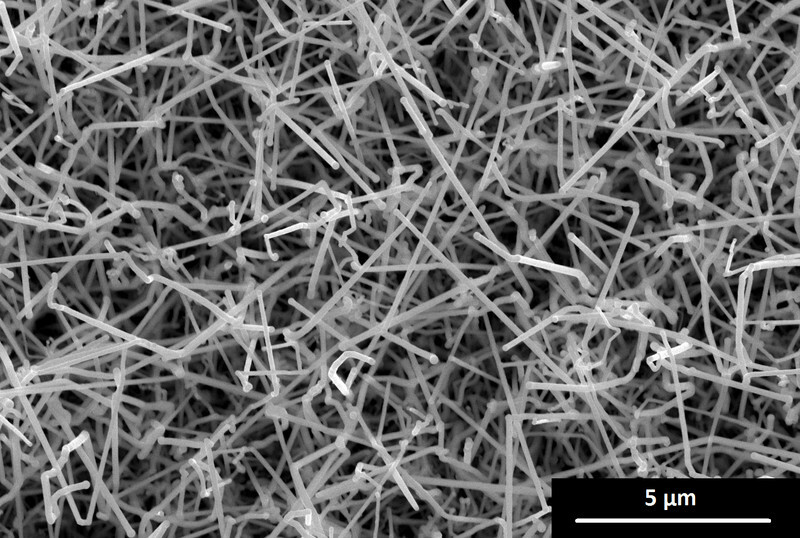 Our paper entitled "Site-specific growth and in situ integration of different nanowire material networks on a single chip: towards a nanowire-based electronic nose for gas detection" has been accepted for publication in ACS Sensors. 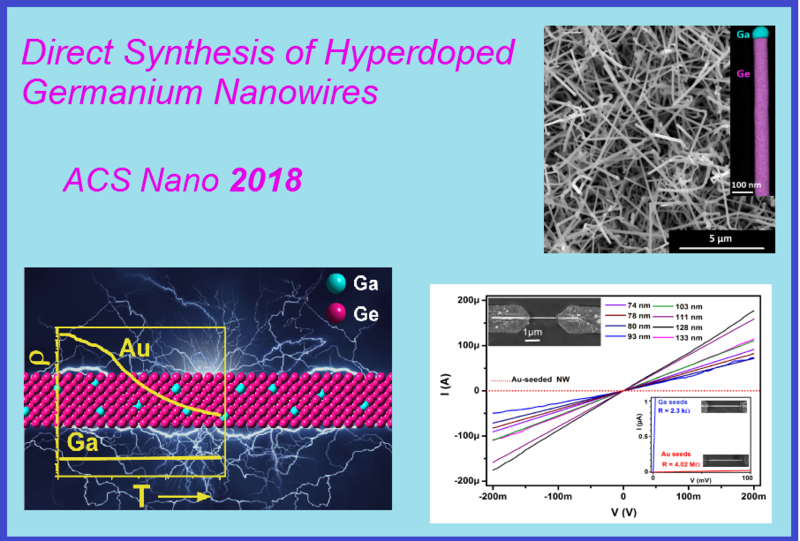 Our paper entitled "Direct Synthesis of Hyperdoped Germanium Nanowires" has been published in ACS Nano. The article is open access. 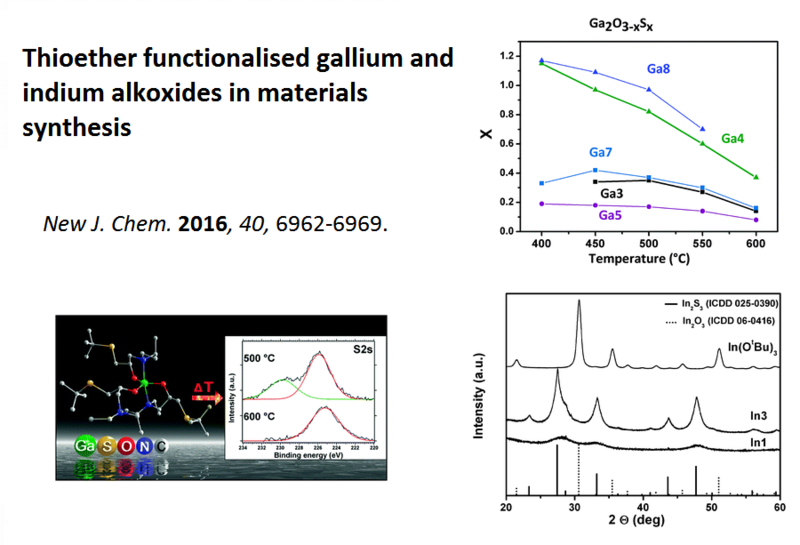 Paper online in Beilstein J. Nanotechnol. Michael Seifner received the certificate for his "Diploma Thesis Award" from the GÖCH at the Chemietage Meeting in Salzburg (26.09.2017). All in all an interesting meeting with this bonus for Michael. Michael presented a talk on GeSn alloy growth and thermal behaviour. 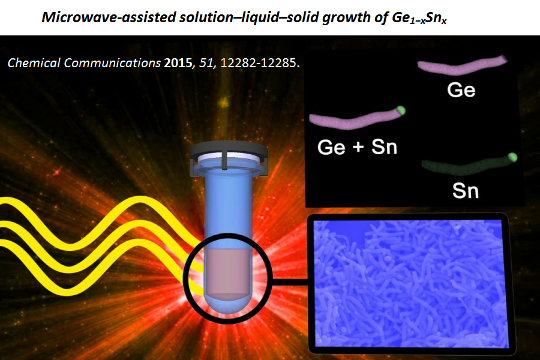 In addition, Sven gave three talks related to low temperature growth of metastable Ge-based semiconductors and nanowire-based sensors. Moreover, Sven presented our research on "Direct Deposition of Nanowires for Environmental Monitoring" in a student sympossium "International Summit of the MRS University Chapters on Sustainability and Nanotechnology”. Michael received an award from the Austrian Chemical Society (GÖCH) for his outstanding MSc thesis. Well done Michael!